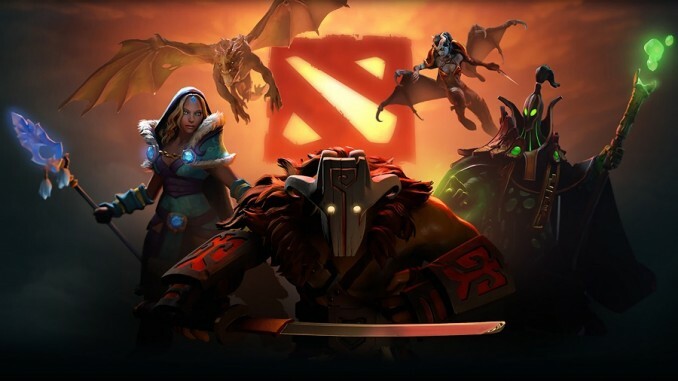 European teams enjoyed another great year in Dota 2’s competitive scene, the region earning its 3rd International victory in history, and 2nd in a row. As we enter 2019, let’s take a look back at 2018, and how it went for the European outfits. The biggest news for European fans was, of course, TI8. Though many predicted that Virtus.pro, the seemingly-unbeatable Russian team would be favoured to win, others placed their stock in last year’s champions, the European-based Team Liquid. With Liquid, Team Secret and OG as the only representatives of Europe in the event, cutting through the Asian teams to reach the top was always going to be a tall order. Secret suffered an early loss to EG, knocking them down to loser’s bracket. And after Liquid were handed a defeat by PSG.LGD, the two European teams found themselves face-to-face with one another, and Liquid came out on top – only to be eliminated themselves by EG the very next round. But things weren’t looking so bleak for OG – the team surprised many by making it to the semi-finals, where they then defeated PSG.LGD 2-1. The pair would meet again in the finals with OG barely defeating the Chinese team 3-2 to take home the gold – the team’s 1st International victory and a great accolade for Europe. Europe’s success in Majors this year is hard to overstate – Team Liquid ranked 2nd in Dota Pro Circuit points by the time of the International, only trailing Virtus.pro, whilst Secret sat in a comfortable 4th place. OG found themselves in a far lower position, 14th, without any Major wins to their name all year, making their dominant performance at TI8 all the more surprising. Secret and Liquid both had strong showings throughout the 2018 Majors, however. Secret really cleaned up in terms of quantity, winning 1st prize at the Captain’s Draft 4.0, DreamLeague S9, the PVP Esports Championship and ESL One Hamburg, butting heads with Fnatic and Vici Gaming in particular this year. Liquid, meanwhile, favoured quality – picking the tournaments with the greatest prizes to participate in, and often winning them. With gold medals at the Starladder i-League Invitational S4 and the China Dota2 Supermajor, as well as a 4th place at TI8, Liquid are proving that they’re still one of the fiercest teams of the scene – even managing to end the year with a crushing victory against Na’Vi at the MegaFon Winter Clash. Of course, things weren’t all smooth sailing for Europe. Much of the year saw them being run ragged in tournaments by Virtus.pro, particularly in Premier series events. Neither Liquid, OG or Secret were able to stop them from sweeping the stakes at ESL One Katowice & Birmingham, the Bucharest Major and the more recent Kuala Lumpur Major. Even though European teams may be in their prime right now, they aren’t invincible. Over the course of a year, teams will rise and fall, and players come and go. The formerly-disbanded team Kaipi were reformed in November with a whole new roster of players. However, team Kinguin – a relatively minor team, but a fan favourite for some after their shock defeat of TI4 champs Newbee during this year’s ESL One Katowice – have gone inactive. In addition, the coach of Team Liquid, Heen, has stepped down from his position. We’ll have to wait and see if the team can maintain their form without the coach that saw them through their International win, but it’s safe to say that things are looking bright for Europe in 2019.